It’s that time of the week again, when we connect for another townhall meeting in the Village of the Darned. If the software tells you that you’re the only caller, don’t you believe it! Press on with the access code and you’ll probably find us in there. To all the vets here, of all the services, thank you for your service, for your commitment to the nation. To all those who fell in service, may the Lord hold you near and dear. This is a reprint of a review I wrote published over a decade ago in the Daily News of Galveston County. 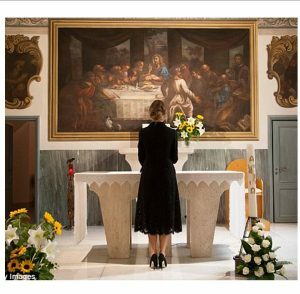 Melania has disclosed that she is a practicing Catholic.